WILSONVILLE, Ore. -- June 22, 1999 -- InFocus(R) (NASDAQ: INFS), the worldwide technology and market leader in data/video projection, today announced an OEM supplier agreement with Toshiba Corporation, Tokyo, Japan. Under the terms of this agreement, InFocus will supply their highly popular, award-winning personal projector platforms to Toshiba enabling them to quickly supply their customers with industry-leading personal projector products. This agreement also provides for future technology exchanges between the two companies. "Toshiba looks forward to working closely with InFocus to build the market for personal projectors around the world", said Masa Hayashi, Senior Manager, Toshiba Visual Products Division. "InFocus has proven its ability to develop and continually enhance products that meet the needs of the most demanding projector users." According to a recent Pacific Media Associates (PMA) report, worldwide data/video projector unit volume is expected to grow by over 30% in 1999. The ultra-portable segment (under ten-pounds) is expected to grow by over 120%. "Ultra-portable, or personal, data/video projectors are becoming more common business presentation tools", said William Coggshall, President, Pacific Media Associates. "Today these small, versatile projectors are more popular than ever because of their enhanced portability, functionality, PC integration and lower cost versus bigger, more expensive alternatives of a couple of years ago." PMA is a leading projector and display industry analyst firm based in Mountain View, CA. 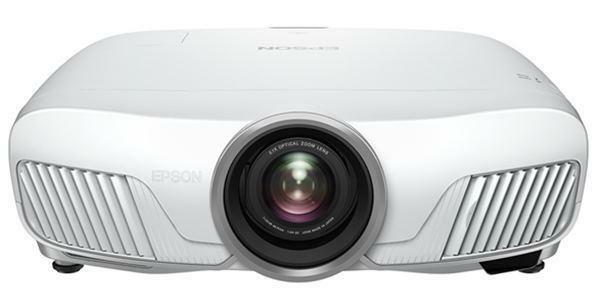 InFocus has been marketing its personal projectors as high-powered PC peripherals since the introduction of the first true personal projector (the InFocus LP420) in November, 1997. InFocus personal projectors have also received the industry's most prestigious awards including the PC Magazine Award for Technical Excellence, PC Computing's MVP Award and a 1999 Mobility Award from Mobile Insights, a leading PC analyst firm. "Toshiba is a recognized world leader in personal computing products, and has a reputation for popularizing innovative solutions," said Bill Yavorsky, InFocus vice president, worldwide sales. "The addition of InFocus technology to Toshiba's product line will allow them to expand their range of presentation solutions." InFocus Systems, Inc. (NASDAQ: INFS) is the worldwide leader in developing, manufacturing, and marketing award-winning data/video projection products and services. For the fiscal year ending December 31, 1998, InFocus revenue was $306.7M. The company's headquarters are located at 27700B SW Parkway Avenue, Wilsonville, Oregon 97070-9215. Call (800) 294-6400 or (503) 685-8888. InFocus' fax number is (503) 685-8631. Visit the InFocus web site at http://www.infocus.com. NOTE: This press release includes forward-looking statements. Investors are cautioned that all forward-looking statements involve risks and uncertainties and several factors could cause actual results to differ materially from those in the forward-looking statements. Forward-looking statements relate to anticipated revenues, gross margins, earnings, and availability of products manufactured on behalf of the Company, backlog and new product introductions. The following factors, among others, could cause actual results to differ from those indicated in the forward-looking statements: 1) in regard to revenues, gross margins and earnings uncertainties associated with market acceptance of and demand for the Company's products, impact of competitive products and pricing and dependence on third party suppliers; 2) in regard to product availability and backlog, uncertainties associated with manufacturing capabilities and dependence on third party suppliers; and 3) in regard to new product introductions, uncertainties associated with the development of technology and the establishment of full manufacturing capabilities, dependence on third-party suppliers and intellectual property rights. Investors are directed to the Company's filings with the Securities and Exchange Commission, including the Company's 1997 Form 10-K, which are available from the Company without charge, for a more complete description of the risks and uncertainties relating to forward looking statements made by the Company as well as to other aspects of the Company's business. InFocus Systems, Inc. (NASDAQ: INFS) is the worldwide leader in developing, manufacturing and marketing multimedia projection products and services to present video, audio, graphics and data from personal computers and other electronic devices. The Company's headquarters are located at 27700B S.W. Parkway Avenue, Wilsonville, Oregon 97070-9215. InFocus and In Focus Systems are registered trademarks and LP is a trademark of In Focus Systems, Inc.
Business Wire Story 1131 is protected by copyright and other applicable laws, treaties and conventions. Information in the release is furnished by Business Wire's member, who is solely responsible for content, accuracy and originality. All reproduction, other than for an individual user's personal reference, is prohibited without prior written permission.